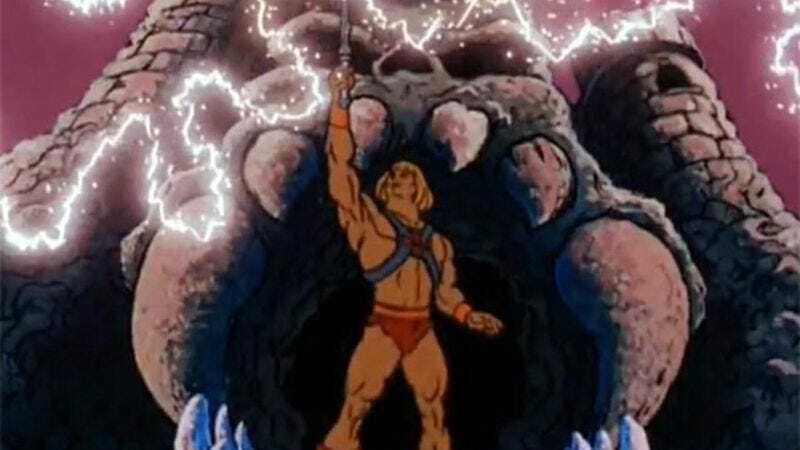 Through a process that we can only assume involved holding up a pen and shouting something about the power of Grayskull, Thor: Ragnarok writer Christopher Yost has transformed into someone powerful enough to write Sony’s big Masters Of The Universe reboot. Yost won’t be the first guy to try and turn the classic story of He-Man and Skeletor into a movie (well, another movie), but his experience with Thor will probably go a long way toward this actually getting made. After all, both Thor and He-Man are great warriors with blonde hair and big muscles, it’s just that one has a hammer and the other has a sword. Yost could probably even take an old script for a Thor movie, change all of the Lokis to Skeletors, replace the Jane Fosters with Battle Cats, and he’d have a reasonably cartoon-accurate version of the story. We’re not saying he should do that, since we’d miss out on other MOTU characters like Man-At-Arms, King Randor, and Evil-Lyn, but it could at least be an option.